Based in Sydney, Emily and Amelia met studying graphic design at The Design Centre in Enmore. 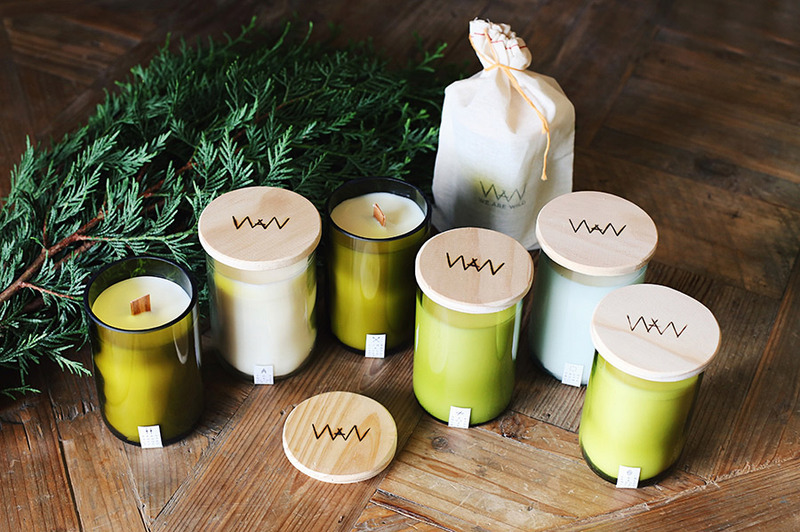 Now both working in the industry, We Are Wild is a side project powered by passion and coffee. 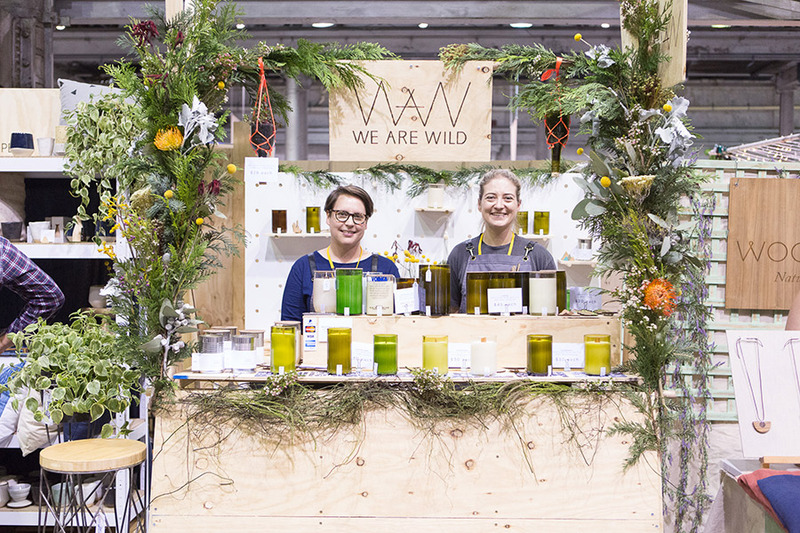 Be sure to catch We Are Wild at our Sydney market, next weekend! Hi. We are Emily and Amelia, and together we make up We Are Wild. Our origin story begins with us meeting studying graphic design at Enmore Tafe. We have always vibed off each others styles really well and became fast friends. Then we decided to turn our constant conversations of “We should do a creative thing together” into “We are doing this creative thing together”, became business partners and housemates and threw all our energy into dumpster diving for empty wine bottles. 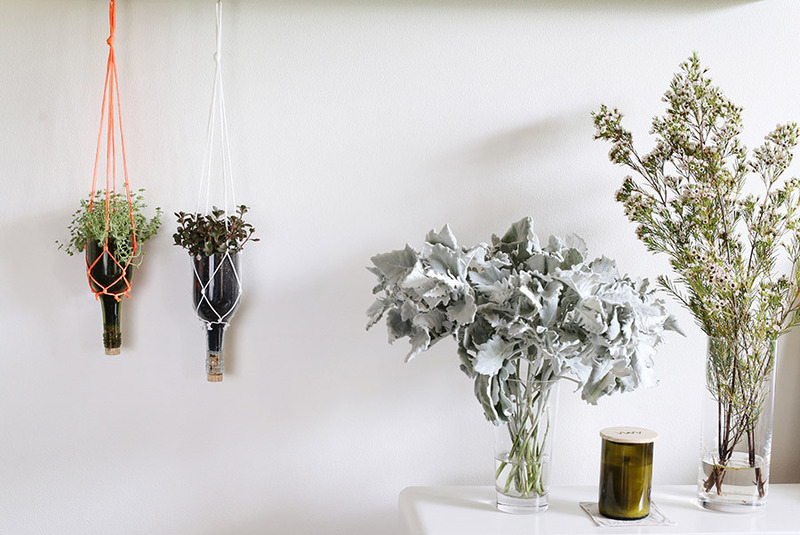 This all happened over many years, and we figured out that we like beautiful things, useful things and recycled things. Boom! 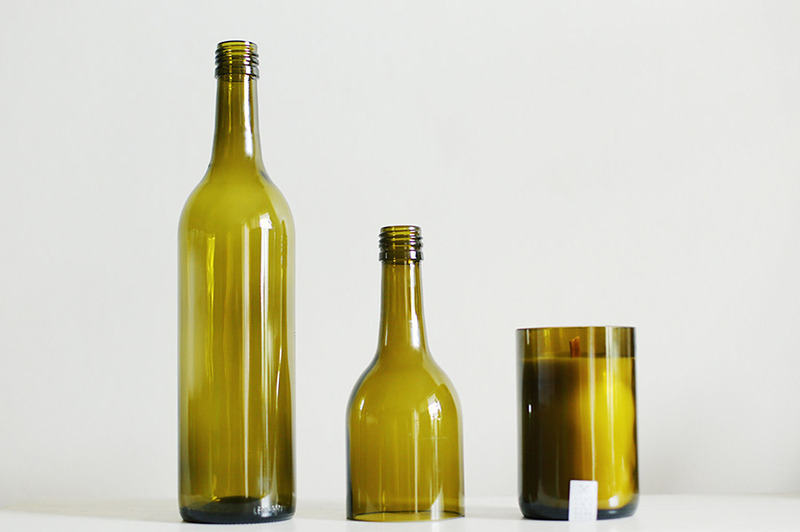 Recycled wine bottle, candles. Bring your sense of humour. Sure, you’re going to spend three days carrying endless boxes of products, setting up and dismantling an intricate stall (held together mostly with wire and prayer), worrying, celebrating, carrying more boxes, forgetting to pack scissors (so important, seriously), talking to more people than you knew existed and experiencing awesome success – but at the end of the day the best thing you can do is remember to crack a smile. And, like, by a coffee and a doughnut – you’re allowed to eat whatever you want on market days, it’s science. Tell us something exciting that you have planned for We Are Wild this year. We want to take this whole circus on the road. That would be such an epic success for us. To make it to another Finders Keepers market in a different state is our next big challenge. Alcohol. More specifically wine, but we’re equal opportunity. 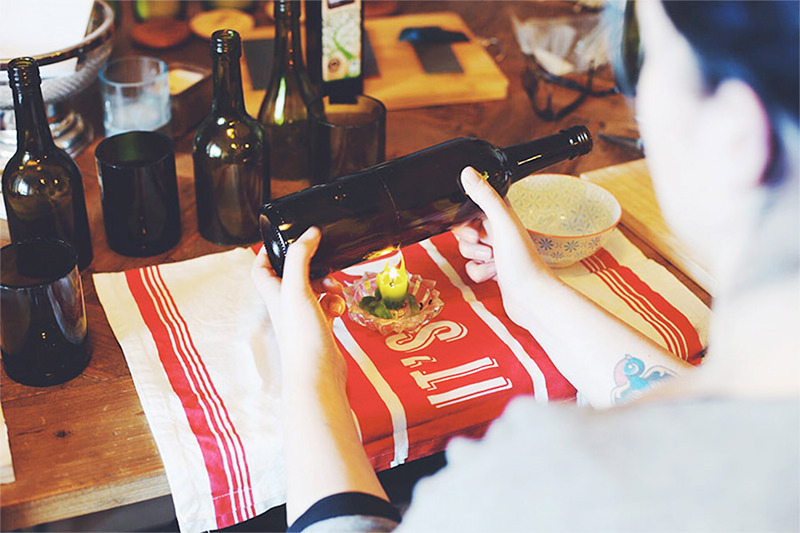 Since a large portion of our products are made from recycled wine bottles, our main resource is the byproduct of other people enjoying a drink. And ourselves, ok, we drink some of the wine (not all of it, Mum!). 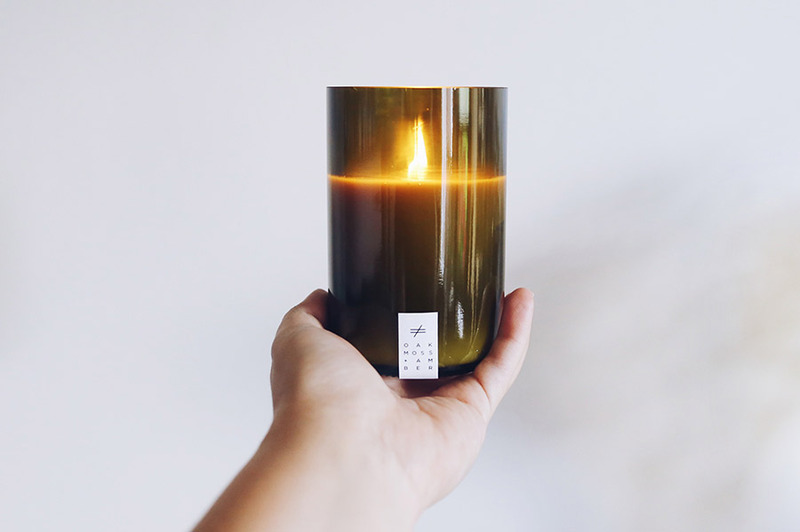 Our Oakmoss + Amber candle is our absolute fav. It’s one of the original scents we started with and it just doesn’t get old. There’s probably four or five of them throughout the apartment, half burnt. 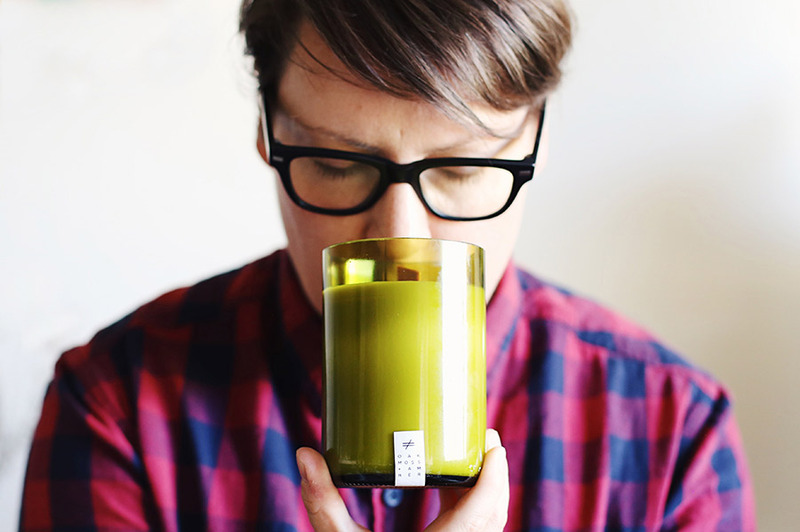 We call it our ‘hipster lumberjack’ candle (smell it and tell us we’re wrong), and we totally won’t judge you if that’s your jam, because it turns out it’s ours too. 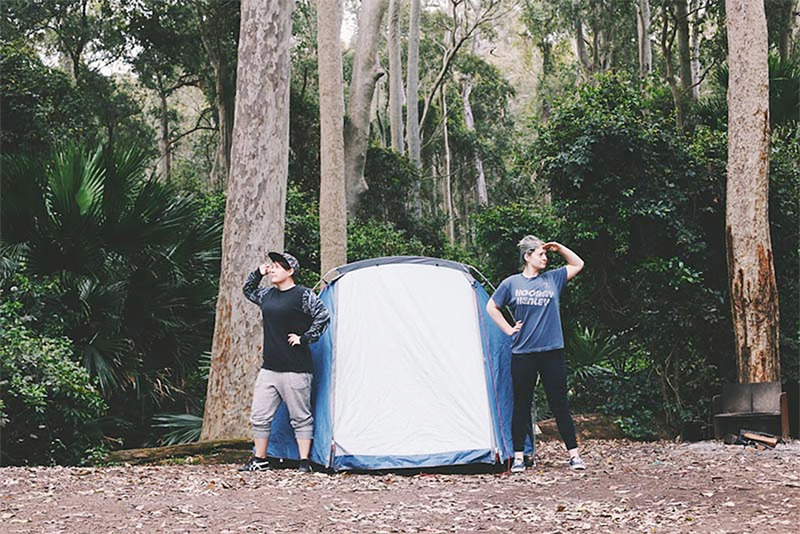 image features Emily and Amelia conquering camping!